We’d love your help. Let us know what’s wrong with this preview of A Clearing of the Mists by Martin Haworth. The mountains of Scotland have long drawn people to their rugged peaks and rolling tops. Drawn by the physical quest, the desire for solitude or for many, the deeper search for purpose and meaning in their life experience. Martin C. Haworth was drawn to wild places, searching for that connection with something pure and great. In that search, he has known the spiritual glim The mountains of Scotland have long drawn people to their rugged peaks and rolling tops. Drawn by the physical quest, the desire for solitude or for many, the deeper search for purpose and meaning in their life experience. 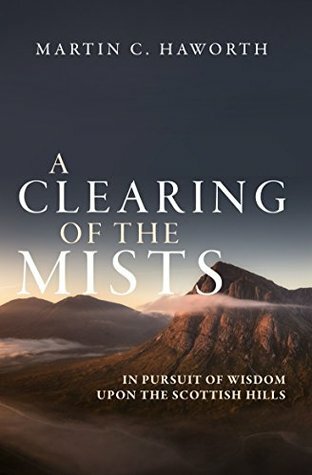 To ask other readers questions about A Clearing of the Mists, please sign up. looking for deep theology? Don't read this.